I was walking through Michaels on my way to get some thread when something brought me to a grinding halt. 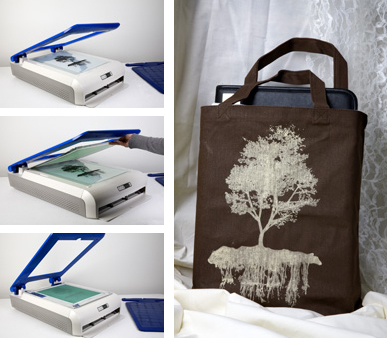 The Yudu, a personal screen printer! 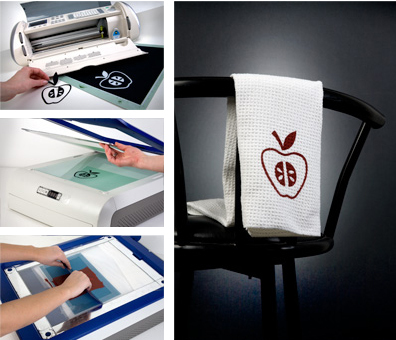 An easy and clean way to do screen printing? Boy howdy! There are several project examples on the Yudu site, like dishtowel and totebags. My mind swirls with the possibilities. I would be dangerous with one of these. How many more days til Christmas? Wait! I have a birthday coming up! OMG! I am so glad you brought this wonderful contraption to my attention! I have been looking for something like this. I've been wanting to screenprint for awhile, but building screens seemed like intense work...I have a bday coming up too! This is sooo going on my list! Whens your bday? This baby has been sold out at my local JoAnn's since it was released though I'd love to get my hands on one of these baby boys ... let us know if you buy it and how you like it! That is awesome! All the cool stuff to make! i would GLADLY contribute to a "buy ljcfyi a yudu" just to see the results! I had heard these were coming out this Spring. Thanks for the heads up that they are now available. Guess I know what I'm getting with this year's tax refund! Watch the YouTube videos for them (I think JoAnn's has the links). It is a nice and tidy machine. 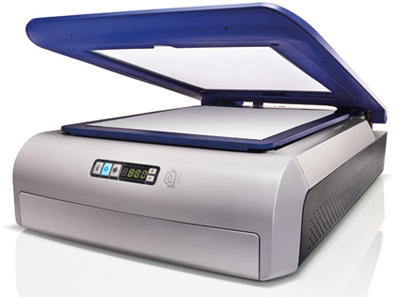 Not to be a downer, but my husband actually went to Micheals to see a demo of this machine (he's convinced we can get rich screen printing T-shirts), and he was very disappointed with the results. The end product looked really sloppy...My first FYI for ljcfyi.